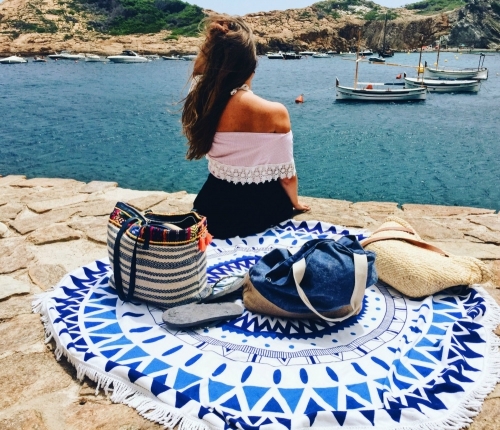 Whether you’re going on a honeymoon, want to find the most beautiful beaches or are planning a once- in- a lifetime trip with your hubby, these spectacular beaches are the perfect starting point for your next dream getaway. 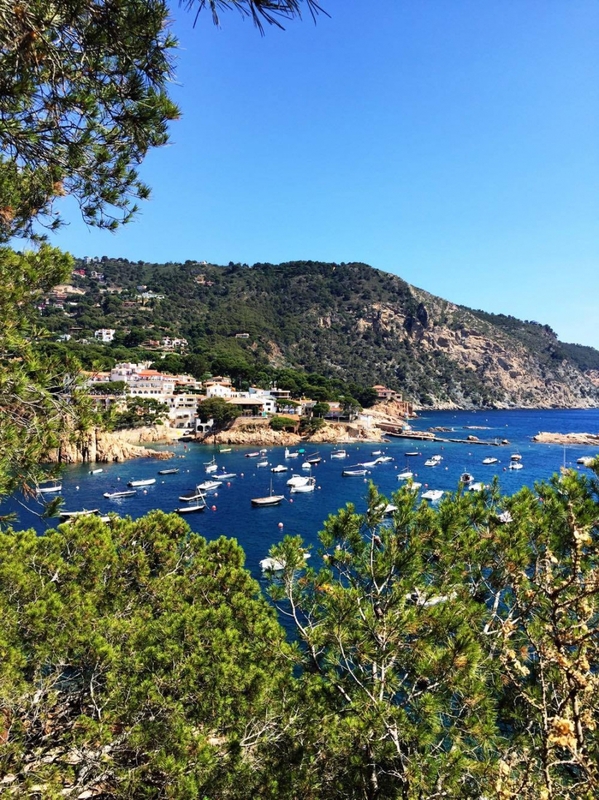 Costa Brava is one of the most beautiful parts of Spain. The views are breathtaking, the food is great and I love the ambience. Today I’m sharing my favourite beaches with you. Warning: you’ll definitely want to book a trip if you see these pictures. Those not fond of getting sand between their toes will definitely like Sa Tuna. This pebble beach is one of the most beautiful places in this region. Sa Tuna is an old fisherman’s village. It’s never too crowded and you can feel that typical Catalan ambience. There are some great restaurants out there and I would recommend Hostal Sa Tuna. You’ll have an amazing view and the food is delicious. 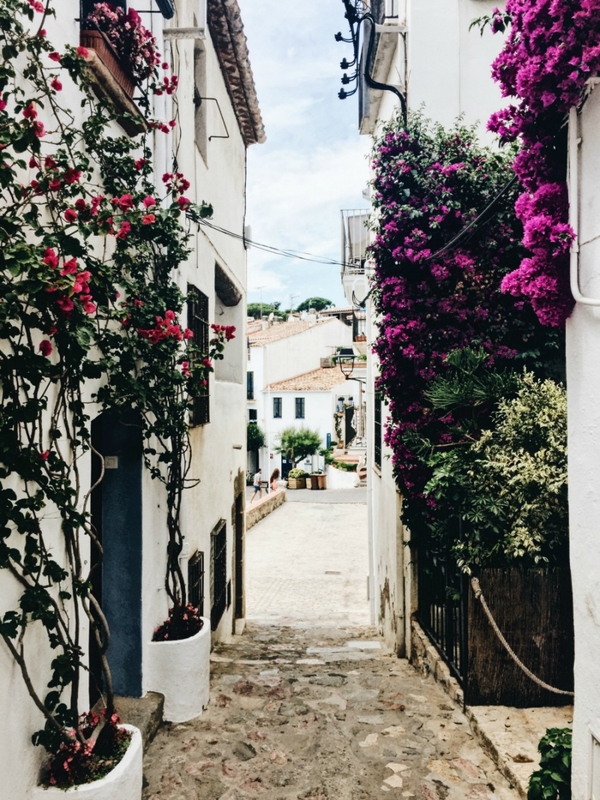 If you want to see beautiful views of the rough coastline, you should follow the little path from the charming village of Sa Tuna to Aiguafreda. There are in fact different coastal paths offering breathtaking views. It’s worth the walk! All these beautiful white houses, the boats and the landscape. It feels like this place is untouched by mass tourism. Sa Riera can be reached by road from Begur and Pals, or you can enjoy a walk around the cliffs. This beach is a little bit more touristy but what the majority of tourists don’t know is the fact there is a small hidden beach on its right side. That small beach is much more wonderful and is the perfect place for snorkling! There is a small path which leads to the place where I took this beautiful photo. A must-see when you decide to visit this place! Follow the path and discover the most amazing places and views. Perfect for Instagram- worthy photos as well. 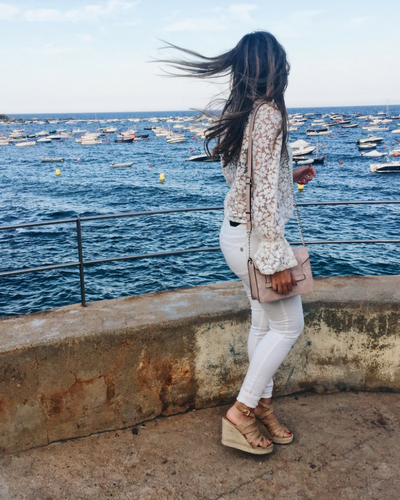 Calella de Palafrugell, you might have heard of this place already. 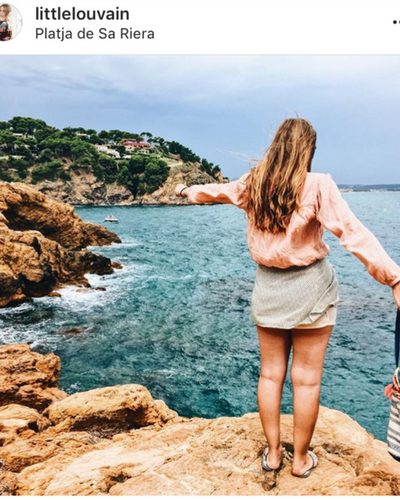 It’s one of Costa Brava’s gems and is considered to be one of the most beautiful places on the entire Mediterranean. I can totally see why: the whitewashed houses, great restaurants and beautiful views are just amazing. 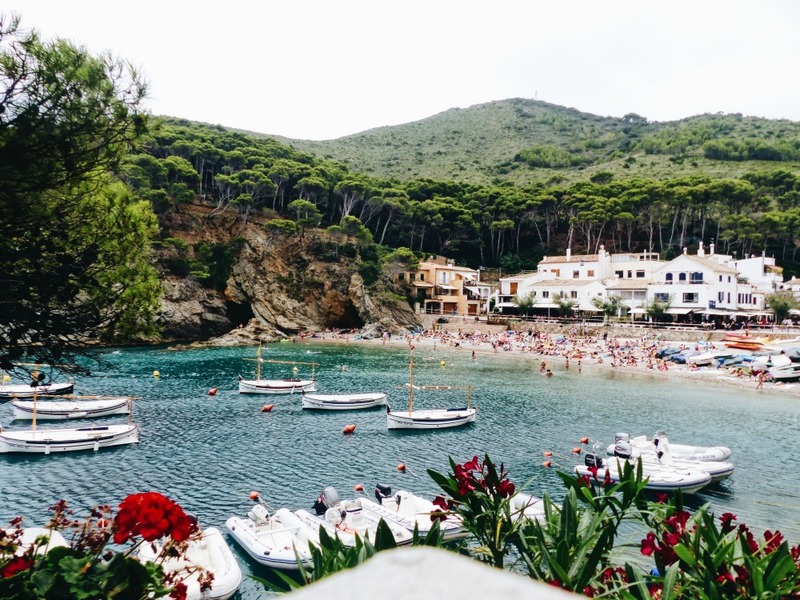 In Calella there isn’t just one single beach, there are multiple beaches connected by promenades. The largest beach is Canadell. There are 2 restaurants I recommend. The first one is Bar 3 Pins, located on top of the hill overlooking the entire bay. It offers breathtaking views and is really cozy at night. The cocktails are great as well! Tragamar is a trendy restaurant in Calella. I totally recommend this place! The food is delicious, and again the view is amazing as well. Last but not least: Aigua Blava. 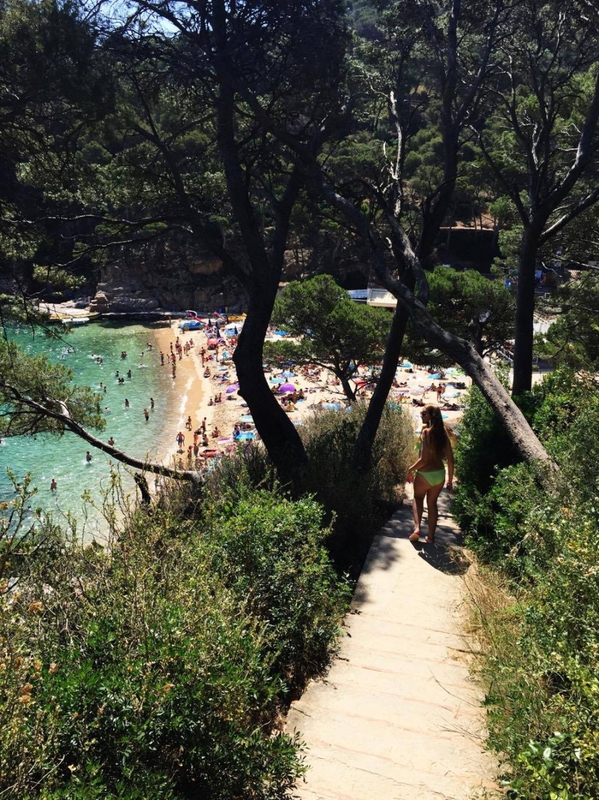 It’s probably one of the most beautiful beaches in Costa Brava. 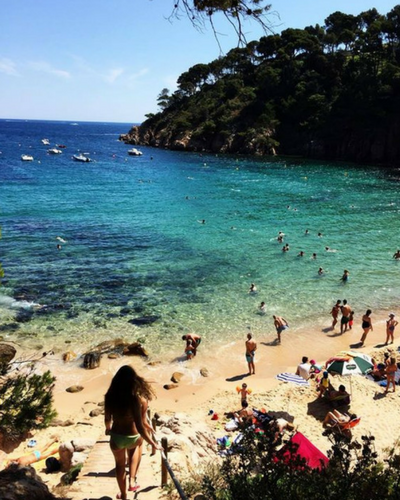 Aigua Blava means blue water in Catalan and if you’ve visited this beach, you do understand why. The water is crystal blue and perfect for snorkling. There is a diving centre for those who would love to give this a try! There are a few great restaurants out there, my favourite is Mar i Vent, which is closed until August 2018 because of renovations. But there are some other great ones as well. I’m in love with Spain. Want to read more about other destinations as well? Find all my travel articles over here.